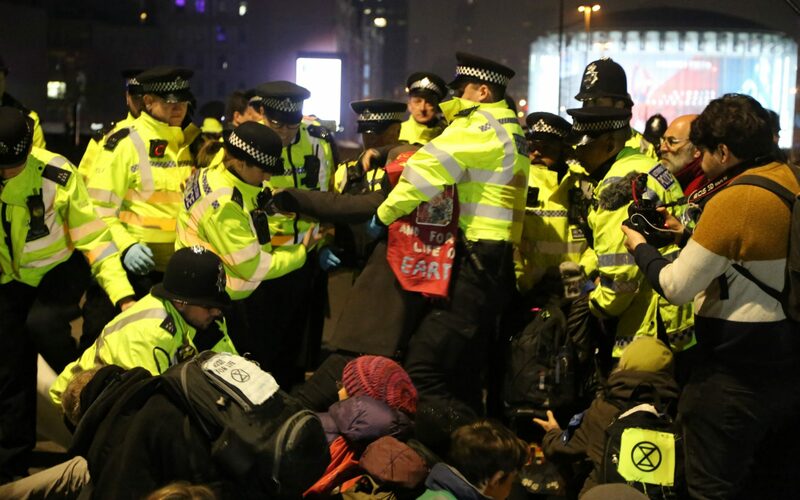 More than 100 people have been arrested as part of ongoing climate change protests after police ordered the demonstrators to stay only at Marble Arch. Following disruption in the heart of the capital yesterday, groups lingered on Waterloo Bridge and Parliament Square into the early hours of Tuesday. Scotland Yard said there had been 113 arrests in total in connection with the demonstrations in a statement at 6am today.